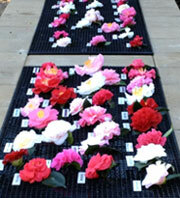 During the flowering season we cut Camellia blooms to display on the table to help in the selection process. Displaying the blooms in one area allows for comparison between varieties and simplifies selection. 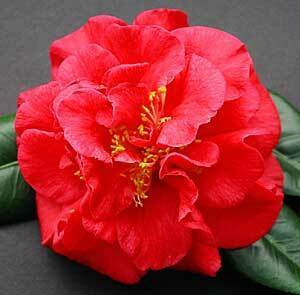 It's also nice a display piece and well worth visiting the nursery to see during peak Camellia season. Maybe we can find it for you. With our extensive list of suppliers, we are able to source a wide range of plants not currently available in our nursery. Please call or email us to see if we can find what you are looking for.